Have you woken up in the middle of the night or stopped suddenly while running with pain in your muscle? 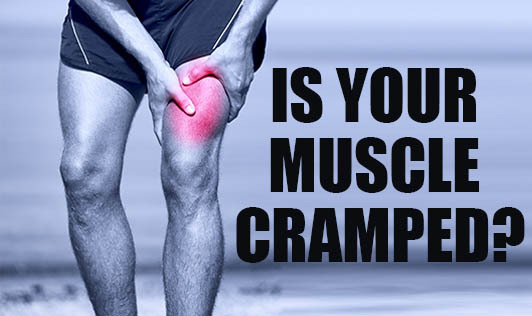 If yes, you might have suffered a muscle cramp. Muscle cramp is nothing but a sudden and involuntary contraction of one or more muscles, causing pain. It usually happens in the leg muscles and disappears on its own. But if it occurs frequently or does not go away easily, do consult your doctor. Muscle cramp can be caused by dehydration, lack of proper blood supply, strain in the muscle, lack of minerals like potassium or calcium, nerve compression or an underlying medical problem. Quick relief can be obtained by gently stretching and massaging the affected area. A cold pack sometimes helps. Ensure your diet contains all the vital minerals in adequate quantities. Always be sufficiently hydrated, more so if you are a sportsperson. Daily practice of stretching exercises helps to reduce muscle cramps.